The school building of our partner school International Education in Oxford lies right in the town centre. It is situated on St. Aldate Street, in an 18th century building with classrooms overlooking High Street. The school is easily accessible with buses from all parts of town stopping in front of the building. Many of Oxford’s most beautiful colleges are only steps away. Oxford International Education is a small school, but therefore able to provide high quality and personalized education. 7 bright and spacious classrooms; some fitted with interactive whiteboards bringing the latest technology to the classes and enabling you to get more from your lessons. Self-study centre with extensive additional learning resources for you to develop your English outside the classroom and in your own time. On the first day of school, students will receive information about the social and cultural activities the school organises weekly. These include visits to museums, theatre, art galleries and places of interest in the city and full day excursions to for example Cambridge or London. The intensive courses consist of 20 or 30 lessons per week, 45 minutes per lesson. The intensive courses are designed to improve all areas of your English, with a focus on communication. Besides speaking and listening, intensive courses are aimed at increasing your vocabulary, enhancing your grammar, while improving our reading and writing skills. Up-to-date course books and communicative teaching methods are used in class. You can start the intensive course at any level and on any Monday. The maximum number of students per class is 15 and the minimum age is 16. Please indicate if you have a special diet under comments on the booking form. Prices are per person and per way. Please fill out on the booking form on which airport you will arrive. In 2019 the school is closed on: 01/01/2019, 19/04/2019, 22/04/2019, 06/05/2019, 27/05/2019, 26/08/2019 and from 23/12/2019 to 03/01/2020. Missed lessons due to bank holidays will not be refunded or rescheduled. The Academic Year course has a duration of 24 to 36 weeks, consisting of 20 or 30 lessons a week (equal to the intensive programme, but with a more affordable price). 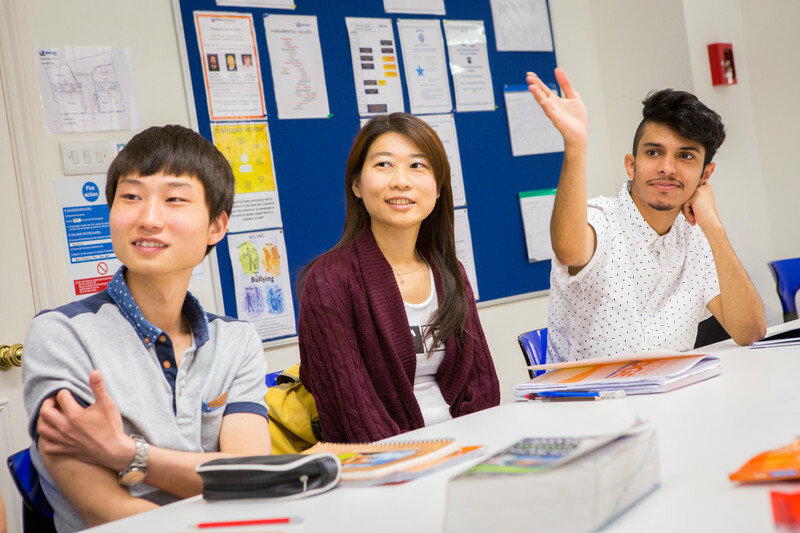 The programme is designed to develop your General English language skills, and is ideal for students wishing to gain the confidence and ability to communicate effectively in English. The IELTS Preparation Course is an English language programme for intermediate to advanced learners, which aims at developing the skills and strategies needed to pass the IELTS test. The course will give you intensive practice in each module, making sure you know exactly how to make the most of your time. You will take practice tests in each skill under exam conditions and specialist teachers will give you feedback on your performance. This course with 30 lessons consists of 20 lessons per week of Exam Preparation plus 10 lessons of General English per week. The course starts every Monday, but we recommend you to contact us for the appropriate starting date if you wish to take an exam at the end of your course. The maximum number of students per class is 15 and students need at least an intermediate level to start this course. On the website www.ielts.org you can check the IELTS exam dates (approx. each month). The IELTS course requires a minimum level of intermediate. If you would like to finish your course with an exam in Oxford, please contact us for the correct starting dates. Host family accommodation enables you to be fully immersed in the language, culture and daily life of a British family home. All families have been carefully selected and are regularly visited to ensure the highest standards. You'll stay in a single or double room, based on breakfast or half board. The residence is located about 15 minutes walking distance from the school. The residence offers six bedrooms and is decorated and maintained to a very high standard. You will share the bathroom with other students who live in this apartment. There is a large kitchen/dining area where students can enjoy cooking and socialising together.